Okay, we are now catching up on our Luncheon Society gatherings. I have nearly two years of Luncheon Society narratives that will be inserted, roughly 1-2 per day if things go according to plans. David Stockman, a former congressman who served as Ronald Reagan’s polarizing OMD Director during his term, sat down with The Luncheon Society for a different kind of conversation about the direction of the American economy. 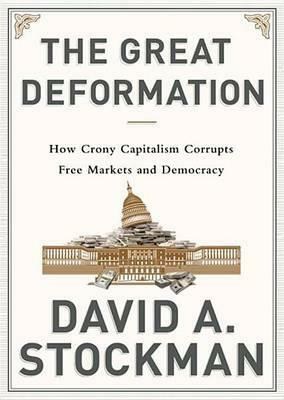 Here is the book jacket blub on The Great Deformation from David Stockman. The Great Deformation is a searing look at Washington’s craven response to the recent myriad of financial crises and fiscal cliffs. It counters conventional wisdom with an eighty-year revisionist history of how the American state—especially the Federal Reserve—has fallen prey to the politics of crony capitalism and the ideologies of fiscal stimulus, monetary central planning, and financial bailouts. These forces have left the public sector teetering on the edge of political dysfunction and fiscal collapse and have caused America’s private enterprise foundation to morph into a speculative casino that swindles the masses and enriches the few. 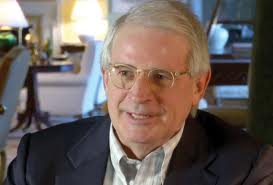 Defying right- and left-wing boxes, David Stockman provides a catalogue of corrupters and defenders of sound money, fiscal rectitude, and free markets. The former includes Franklin Roosevelt, who fathered crony capitalism; Richard Nixon, who destroyed national financial discipline and the Bretton Woods gold-backed dollar; Fed chairmen Greenspan and Bernanke, who fostered our present scourge of bubble finance and addiction to debt and speculation; George W. Bush, who repudiated fiscal rectitude and ballooned the warfare state via senseless wars; and Barack Obama, who revived failed Keynesian “borrow and spend” policies that have driven the national debt to perilous heights. By contrast, the book also traces a parade of statesmen who championed balanced budgets and financial market discipline including Carter Glass, Harry Truman, Dwight Eisenhower, Bill Simon, Paul Volcker, Bill Clinton, and Sheila Bair. Stockman’s analysis skewers Keynesian spenders and GOP tax-cutters alike, showing how they converged to bloat the welfare state, perpetuate the military-industrial complex, and deplete the revenue base—even as the Fed’s massive money printing allowed politicians to enjoy “deficits without tears.” But these policies have also fueled new financial bubbles and favored Wall Street with cheap money and rigged stock and bond markets, while crushing Main Street savers and punishing family budgets with soaring food and energy costs. The Great Deformation explains how we got here and why these warped, crony capitalist policies are an epochal threat to free market prosperity and American political democracy.